​Thank you to you and your cast for performing at Dolphin Day – it was fantastic, and the kids loved it!!! Thank you again – your show was so much fun – and very relevant to the event. Sea Star Rock was SO MUCH FUN! My kids, who are usually shy, were captivated from the first song and they danced for the whole show. There was a great atmosphere as the entire audience were into it – children and parents alike. The songs were genuinely great tunes, which is lucky because we bought the Sea Star Rock CD and haven’t been able to listen to anything else since the show! The kids LOVE it. We’ve been Penguin Rocking all over the house! I'd like to extend my thanks to you for organising such a wonderful performance. These days ‘Yao’ is so excited to talk about it. He showed us the surfing dance at home, and also tried to copy dances performed by other groups. I believe this event certainly improved the kids' team corporation awareness, self-confidence, imagination and creativity. Thank you SeaStar Rock for another great concert on Sunday! My 22 month old was absolutely enthralled and loved every minute! It truly was like a 'Holiday Party' for kids and adults! The lighting, face painter, sea themed nibbles, subtle smoke machine and children's disco that followed was a huge hit! Adelaide is very lucky to have you! 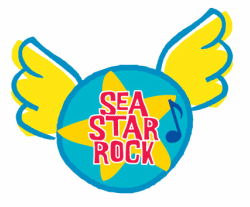 The SeaStar Rock live show is an interactive musical performance for kids that includes singing, dancing and playing games and promotes marine sustainability. It's perfect for schools, play groups and festivals and can be adapted for any function. Recommended as ‘Top 5 Things To Do With Kids’, Advertiser. Kid's will join in games such as ‘Seaweed Shelters’ and ‘Wally and Polly's Orders’ as they help tackle the War on Waste. They’ll cha cha with Chino Crabclaw, tap dance with Terrance Turtle, and dance the waves with Surfing Snapping Starfish, as he saves the seas from plastic bag monsters. Big Blue Bopping Whale will be bopping at the Underwater Fish Cafe, whilst Harriet Hammer Shark teaches her ‘Shark Grin’ tips at the Icy Pole Studios and how to reduce and recycle 'dangerous rubbish creature'. If you’re looking for an action packed underwater educational adventure, come and join the SeaStar Rockers because " just below those ocean waves there's a storming dancing party!" Included in the performance is a copy of the SeaStar Rock CD for the children to enjoy throughout the year. Educators will also receive an activity booklet which could be used to support the New Australian Curriculum, in particular, Sustainability, The 7 General Capabilities, with links to The Arts, English and Science. SeaStar Rock also supports the five Learning Outcomes of The Early Years Learning Framework. Previous shows included Sydney Festival, Adelaide Fringe, Convention Centre, Whale Time Fun Time, East Adelaide Primary School, Prince Alfred College, Goodwood Groove, Variety SA, and the Queen Adelaide Club.